The X-Tech ATG™ easily adjusts to each of the three most popular industry proven angles (17, 25, & 33 degrees). The robust design exceeds industry standards for quality, strength and durability. The subtle finger grooves, texture, and back-strap optimize comfort and control. 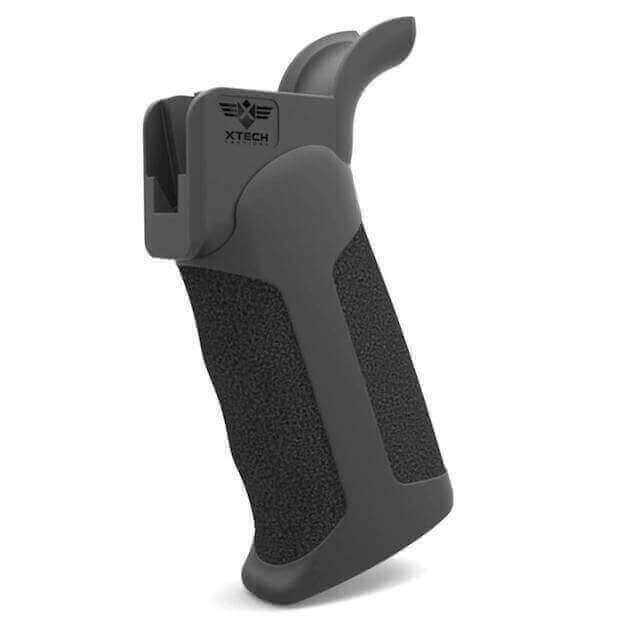 This innovative grip is designed and manufactured in Arizona. The ATG™ addresses a key gap in the modern sporting rifle’s adjustability and is the ideal grip for any shooter or shooting style. Users will find that as the length of the stock or shooting style is changed, so will their preferred angle. In addition, this grip includes custom die cut EGT™ rubberized grip tape to enhance the texture of the grip. Glad to hear your adjustable grip is helping you improve your skills.